A couple days ago the New York Times published an opinion on the Internet Church movement. Simply titled, Internet Church isn't Really Church, writer Laura Turner examines popular movements of Church Online (including Life.church, Connexus Church, even Judah Smith's Churchome). It's an excellent article. If you're involved in ministry, especially online ministry, you'll want to check out the article. Believe it or not, I agree with a lot of what she says. Well, at least where Laura discusses her perception of what Internet Church is... today. People view Church Online as a replacement for physical church. "I'm lazy today. It's too much work to dress up in Sunday best... I'm going to sit here on my couch in my pajamas and watch Church Online." And while this may be the prevailing view of Church Online today, the church is capable of so much more. Yes, Church Online is misunderstood in it's infancy. But there's potential worth fighting for. Remember, Church Online isn't a virtual building. It will not replace the physical building. It is a virtual network to share the gospel. Want a Biblical perspective? 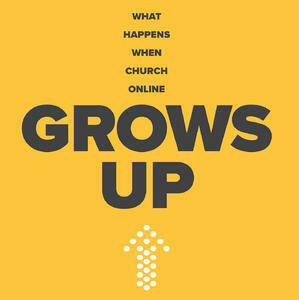 Ironically right before the NY Times article I released an eBook: What Happens When Church Online Grows Up? The book addresses many of the questions and issues raised in the NYT article, but paints the picture of a viable online ministry model that forward thinking churches can use to not only reach, but disciple, people online. So, download the book and let the conversation begin! Like the eBook? Want to talk more? Click the button.